It's been a while since I've done one of these posts. Not all letters have an interesting trend that's visible over the years, and a lot of them just have too many names to work with. Let's see what the letter P has to offer. The Top 100 in 1880 included four P boy names: Patrick, Paul, Peter, and Philip. These reliable names stayed in the Top 100 for most, if not all, of the next 100 years. Patrick fell out in the 1900s but jumped back in during the 1930s, around the same time the alternate spelling of Phillip became the new thing and entered the top ranks. Oh, and we cannot forget Percy, who was also in the top for a couple of years in the 1890s. The late 1980s brought changes to the Top 100 as the big P4 (5 including Phillip) started to disappear. Philip was first to fall in 1989, followed by Phillip in 1992, Peter in 1997, Paul in 2001, and finally Patrick in 2005. From 2005 until 2009, there were no P boy names in the Top 100. What name broke the fast and still remains near the top? Parker. That's it for the boys' story. The girls' story is a little more complicated. The Top 100 in 1880 included only one P girl name: Pearl. Pauline joined in 1888, and those two remained alone until 1915 with Phyllis and 1921 with Patricia. Pearl retired in 1926 to be replaced by Peggy in 1927 and Patsy in 1930. Pauline slipped after 1938, and both Pamela and Paula rose in 1943. Patsy left after 1948, and Phyllis left 10 years later. Peggy fell after 1962, the year Penny started a brief four-year run. Paula faded after 1974, and Pamela dropped out for good after 1983. That left only Patricia, who fell after 1990, the year Paige ascended into the Top 100 and remained the only P girl name until Payton and Peyton broke through in 2008. Paige fell out after 2010, Payton left after 2011, Piper joined in 2012 and finally Paisley and Penelope made their debuts in 2013. So, if you are still with me, the current list of P girl names in the Top 100 are Paisley, Penelope, Peyton, and Piper. There is not much more to say in terms of trends. 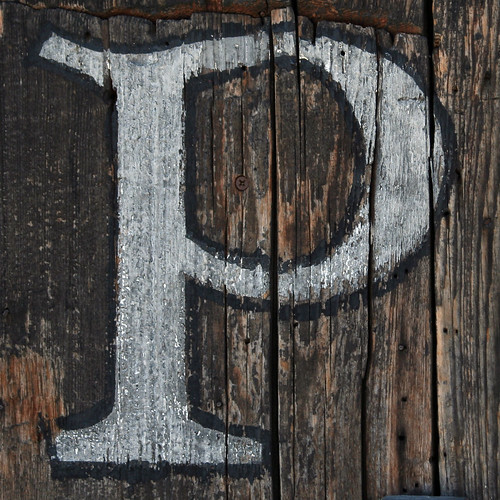 The letter P has been more popular at the beginning of girl names than boy names, although the P boy names had more staying power. Out of the names currently in the Top 100, Penelope is the standout; it is the only one that isn't "modern" and yet it surprisingly reached the top ranks only recently. Surprising especially since Penny was ranked as high as #87 in 1963. Do you see anything trend-worthy?